If you read my August Favourites (post here), then you will have seen me mention my newest blush obsession the Tarte Amazonian Clay Blush. A few of you mentioned how much you liked the look of it, so I thought I should give you guys a review on this. As I mentioned in my August Favourites, my uncle brought this back from America for me after I begged him to and i’m so grateful that he did as I have not stopped using it since I got my hands on it. The Tarte Amazonian Clay 12-hour Blush is described as a long wearing and supremely soft blush infused with Amazonian Clay, which minimises oil in order to balance out the skin and keep this blush in place. It is also said to universally benefit all skin types for a fade free and flawless finish. I love this blush! I got it in the shade ‘Peaceful’, which is a pretty peachy coral shade that was really hard choosing as I wasn’t able to swatch any of the shades, so I trusted all the blog reviews that I read when choosing this shade and I couldn’t be happier. I didn’t want to get a shade I already owned in another blush and thats exactly what I got as this is a more of blush than bronzer shade, as most of you know i’m more of a bronzer girl. This shade adds a really nice soft flush of colour that really suits my skin tone and has a slight shimmer to it, which really adds to the finish of this blush and just works so well for me. Now as it says in the name ’12-hour’ you’d expect this blush to last quite well which it does, but for me it doesn’t last the 12 hours it claims to, more like 8 hours which is still amazing especially in the heat we’ve been experiencing recently where my make-up normally doesn’t last half that time. 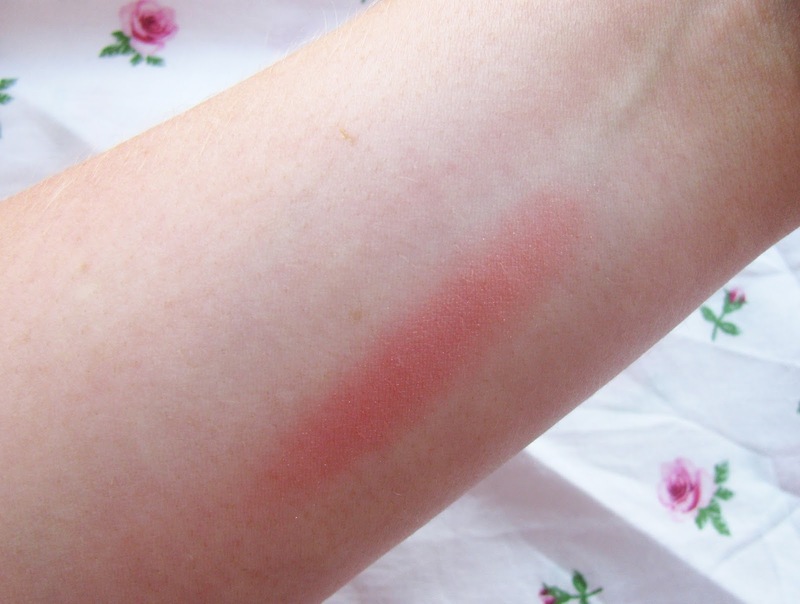 I could honestly go on about this blush forever! All in all, I highly recommend these blushers and if you are ever able to get your hands on these don’t pass up the opportunity. They are available in so many different shades, from soft to vivid and matte to shimmer you’re bound to find one to suit you. Have you managed to get your hands on one of these blushers?